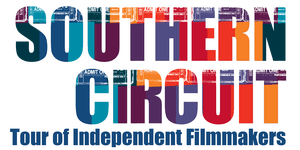 Coming to the Roswell Cultural Arts Center this Fall, the Southern Circuit brings the best of independent film to communities across the South. Audiences have seen over 300 films and have engaged filmmakers in post-screening discussions in more than 100 communities across the Southern United States. The tour takes the audience away from their televisions and computers to connect them with independent filmmakers. Southern Circuit transforms watching independent films from a solitary experience into a communal one. Check out this year’s circuit schedule here! Purchase your season pass here.